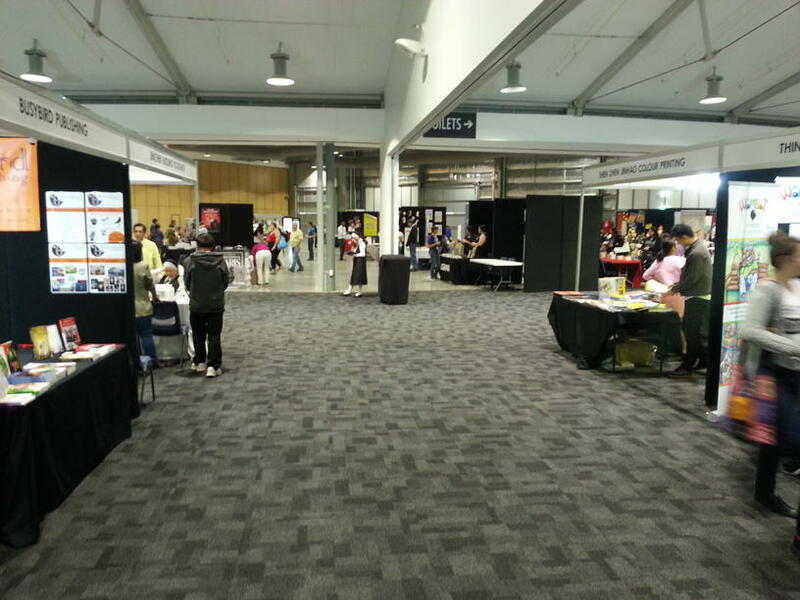 This weekend just past, I went to Book Expo Australia, and I must say I got a lot out of it. "Book Expo Australia is a dedicated event for the reading public to engage with authors and publishers." Booths in a very large hall, for authors, publishers, and everyone in between (or "alongside"). It was nice to catch up with people I knew (Edwina Harvey and I were in the ten finalists in the 1998 George Turner Contest: the multi-talented creator has several web sites for her guises as reviewer, editor, artist, and of course author), and Lama Jabr who runs Xana Publishing & Marketing, as well as meeting a lot of interesting and helpful new people. The booths were typically manned by the author or publisher personally, and all were approachable and very happy to chat. There were a range of booth options from AU$150 to AU$1950. An area where various events were held to entertain the kids (like learning to draw cartoons). They had a "pitch fest," where authors could sit with publishers to pitch their book. Again quoting from the web site: "Pitchfest Australia will offer potential and established authors the opportunity to sit in front of a publisher for ten minutes. Have prepared the best three minute "Elevator Pitch"
Have worked to have answers to all questions possible for the remaining seven minutes." And the events for kids: Children’s Interactive, Mr Arthur Puppets, Dad Reading Comp, Rob Feldman, Mum Reading Comp, Kingdom of Chen, Duncan Ball, Jodie Wells-Slowgrove, Tony Harris, Eumundi and Friends. See also How I became a best-selling author on Amazon. Oh, and not to mention "Murder by the Book," an interactive murder mystery (I didn't find time to get involved). I found some good books to buy directly from their authors (of course! ), got info to follow up on more books, got to meet and ask questions of authors, and learned several important things that improve and in some cases dramatically change my plans. But rather than "smear out" the information in several places, what I'll do is update the relevant blog posts with my fresh discoveries, and I'll just post links to the various topics here, so you can find them that way. The new info will be in a "Book Expo Aus 2015 Update" section at the end of the updated posts, and I'll list the updates here as I complete each one. All in all I found it very interesting and useful, with some real gems. I also got the impression that the organisers would welcome help. 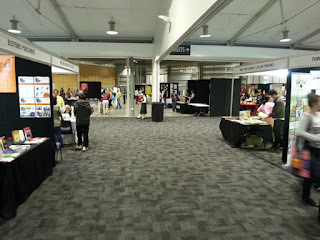 It's a big job, and it was undertaken (in my opinion) out of the love of books, when the main organiser realised Australia hadn't had a Book Expo for twenty years. So I'd encourage people to support their efforts!